Our Philadelphia eviction attorneys promptly evict tenants who have defaulted. The most important consideration in any eviction proceeding is time. Usually in most landlord-tenant cases, the question is not whether a landlord is going to win against a defaulting tenant, the question is how long before the tenant is evicted from the property by sheriff. At the Law Office of Mark D. Copoulos, we have processed thousands of Philadelphia evictions, and have streamlined the process. Most evictions take between five and eight weeks to process from hiring the attorney to getting the sheriff to the property. A property owner who is handling an eviction themselves without prior experience, will waste weeks or even months, because they may not utilize technical shortcuts to expedite the process. A landlord / property manager acting pro se will also likely waste hours of their time filing motions in court that can be filed from the comfort of an attorney’s office. The eviction process essentially comes down to filing a complaint in Philadelphia Landlord and Tenant Court, appearing at the court date, winning before the judge or making a deal, and scheduling a lockout with the Landlord and Tenant Officer. The defaulting tenant will likely attempt to thwart your progress in any manner possible, including but not limited to, contacting Licenses and Inspections, delaying their appearance in court, and/or filing for continuances. Do not let these tactics slow down your case. Hire an experienced Philadelphia Landlord and Tenant lawyer to expeditiously handle the matter. Evictions can be an emotional and uncomfortable process for most landlords and tenants. There is someone in your house or property, who has defaulted on their obligations to pay rent. The tenant may have nowhere to go but the street. The Philadelphia courts are cognizant of this and tend to be sympathetic to delinquent tenants. For this reason, it may make sense to waive back rent and focus on obtaining possession of the property. Even if a money judgment is obtained, many delinquent tenants have no assets or credit, and accordingly obtaining payment on the judgment is close to impossible. Best to get possession of your property quickly and efficiently, and move on. Obviously in commercial leases or situations where tenants have assets, it make sense to seek a judgment for the maximum amount allowable under state law. When you’re dealing with a tenant who does not respect law and order or any sense of fairness, you must hire an attorney who will aggressively and proactively represent you. Our office regularly handles evictions of tenants, often for landlords residing outside of the state of Pennsylvania. We take care of every element of the time consuming process of an eviction. From notice to lockout, we do not rest until a sheriff or landlord/tenant officer has removed the tenant from the property and restored order. A landlord must give written notice to a tenant to vacate the property. If the tenant has a written lease, the lease governs the terms of notice. If a tenant is being evicted for non-payment of rent, unless specified differently in the lease, a landlord must give ten (10) days written notice. The same requirement stands for all oral leases. If a tenant is being evicted for termination of the term, or violation of a lease condition, the written notice must be at least fifteen (15) days if the lease is for one (1) year or less; if the lease is for more than one year, a minimum of thirty (30) days written notice is required. Notice should be provided by posting the document to the door of the tenants residence. Notice can also be hand delivered. If the landlord opts to mail the notice it should be sent certified mail, return receipt requested at a minimum. The eviction complaint may be filed simultaneously with giving the tenant notice to vacate. It almost always take more than the minimum notice requirement to schedule a court date. Therefore, an attentive lawyer will handle both of these matters at the same time. Upon filing the complaint the landlord through his counsel may sue for damage to the property, nonpayment of rent, and any other costs incurred as a result of the tenancy. The courts will notify you of the scheduled court date. 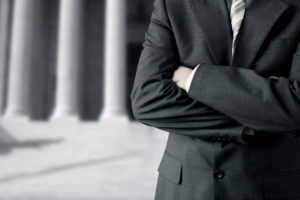 At trial both sides will discuss a possible non-trial disposition before litigating the case before a judge if the matter is not settled by agreement. A pre-trial settlement is commonly referred to as a judgment by agreement (“JBA”). If the tenant does not appear a the hearing, the tenant loses by way of default judgment. At the hearing, both parties enter into mediation in an attempt to negotiate a settlement. Agreements created at court are called Judgments By Agreement (“JBAs”). They are legally binding. They cannot be appealed by either side. Thus, if either landlord or tenant is unclear about the terms and conditions of the JBA, they should refuse to sign it. Verbal agreements that are not put in writing are not honored. Therefore, it is critical that your lawyer properly draft the JBA to ensure your rights are protected, and the tenant is not given undue leeway into the future months. The vast majority of Landlord-Tenant cases are not appealed. The high price of appeal is prohibitive for many tenants. The cost of filing a complaint in the Philadelphia Court of Common Pleas is over one-hundred fifty dollars. Additionally, it becomes extremely difficult for a tenant to proceed unrepresented at this higher level of litigation. As such, very few cases are actually appealed. In Philadelphia, cases that are appealed go to the Court of Common Pleas. Either side wishing to appeal must file with 10 day’s of the judgment in Municipal Court. The 10 day rule is rigid and perhaps meant to discourage further litigation of landlord-tenant matters beyond Landlord-Tenant Court. One requirement of any tenant wishing to appeal is to place all monthly rent in an escrow account. The appeal prevents the tenant from being evicted until a disposition is achieved at the Common Pleas level. Numerous times our office has seen tenants lose cases in Common Pleas Court because they tried to proceed unrepresented, and failed to represent their interests adequately in this complex stage of litigation. Our firm charges a different price for handling of appeals because they are costly, time consuming, and more intensive than matters limited to Philadelphia Landlord-Tenant Court. We have had great results in Common Pleas Court for our clients facing appeals in Landlord-Tenant matters. When the judge grants possession of he premises back to the landlord, the landlord lawyer must obtain a Writ of Possession. The Writ will be served on the tenant, and notify said tenant that an eviction will take place on or after eleven days from receipt of the Writ. This means that the earliest a tenant can possibly be evicted is twenty-one days from the judgment date. Thus, even a tenant who has lost in court can get three additional weeks of rent free tenancy by simply holding out until the lockout. After eleven days from the filing of the Writ of the Possession, the PA Eviction Lawyer files for an Alias Writ. The Alias Writ is often delivered or served by a sheriff, or a sheriff’s representative. This is the critical moment when the landlord is finally vindicated. Locks are changed and the tenant is physically evicted from the premises. The tenant cannot re-enter without express permission from the landlord. Once the Alias Writ is executed, there is no going home from the tenant. The Landlord has prevailed. We look forward to providing you with excellent and affordable service in your PA Eviction Matter.